176 pages | 2 Color Illus. How are the arts important in young people’s lives? Youth, Arts and Education offers a groundbreaking theory of arts education. Anna Hickey-Moody explores how the arts are ways of belonging, resisting, being governed and being heard. Through examples from the United Kingdom and Australia, Anna Hickey-Moody shows the cultural significance of the kinds of learning that occur in and through arts. Drawing on the thought of Gilles Deleuze, she develops the theory of affective pedagogy, which explains the process of learning that happens through aesthetics. Youth, Arts and Education is the first post-critical theory of arts education. It will be of interest to students and scholars across the social sciences and humanities, in particular in the sociology of education, arts education, youth studies, sociology of the arts and cultural studies. 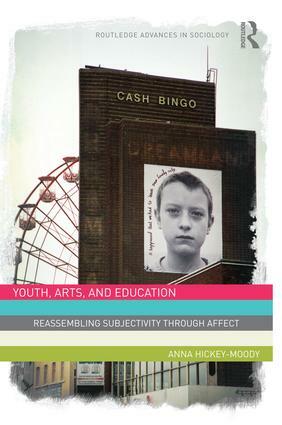 Anna Hickey-Moody is a Lecturer in the Department of Gender and Cultural Studies at the University of Sydney. She is the author of Unimaginable Bodies: intellectual disability, performance and becomings (Sense 2009), co-author of Masculinity Beyond the Metropolis (Palgrave 2006), co-editor of Disability Matters: pedagogy, media and affect (Routledge 2011), and Deleuzian Encounters: studies in contemporary social issues (Palgrave 2007).